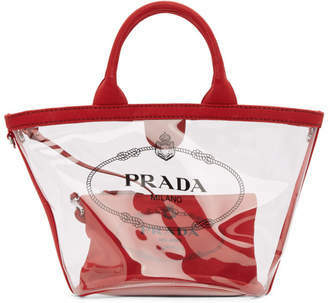 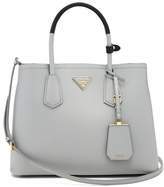 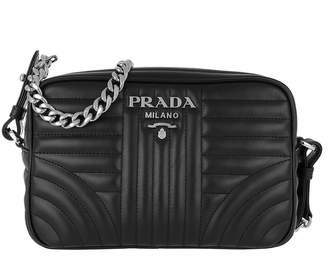 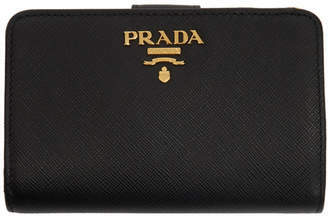 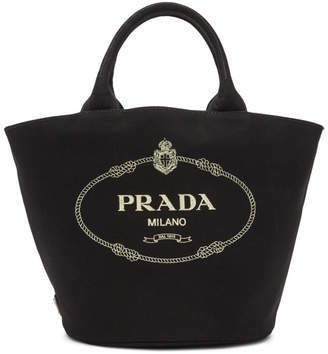 Prada - Prada's cloud-grey saffiano leather bag is designed to cater to the demands of a busy city schedule. It's shaped with two grey and dark-navy leather top handles and a flat base with press-stud fastening sides, then finished with the signature gold-tone metal logo plaque and a coordinating bag charm. 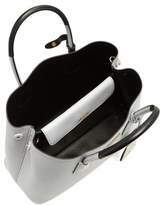 The dual-compartment interior contains a magnetic-fastening flap pocket. 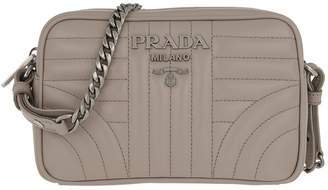 Let it swing from the arm of a two-tone cardigan.